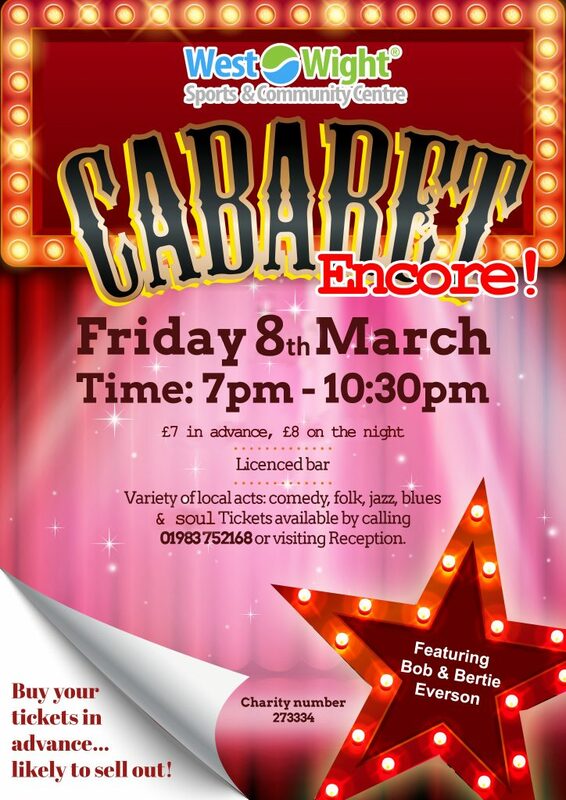 Join us for a variety evening of entertainment acts on 8th March 2019 from 7pm to 10:30pm in the Community Centre. Tickets are just £7 per person in advance and £8 on the night. You welcome to bring your own snacks and a licensed bar will be available on the night. Tickets are available in advance from our Reception and the event is likely to sell out, so don’t delay in grabbing your ticket to this fantastic evening of local entertainment. Which is of course in aid of West Wight Sports & Community Centre.